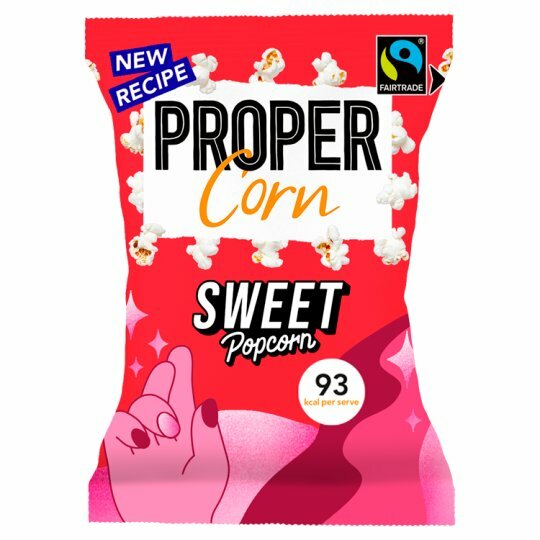 Hand-popped butterfly corn, sprinkled with unrefined, Fairtrade sugar, perfect for sharing. For us, taste is everything. Take this pack of Perfectly Sweet. We tried five different types of sugar before choosing Fairtrade raw cane sugar to coat our hand-popped, butterfly corn.